How about the last 2 sentences which Mandoli could not translate. they could have easily gotten those colors from the GMG posts or here, as stated numerous times. I would take any post going out of the way to describe what colors the teams are wearing as fake. Lol, His portuguese is really awful, seems like he used some kind of automatic translator such as Google Translator. BernardinoCipr "Ir ao mercado começ(sic) peixes"
BernardinoCipr "Equipe asiática em o que eu acredito era escuro - azul duas todas as equipes do macho: dois machos na obscuridade"
"BernardinoCipr "esverdeie e dois na laranja quatro todas as equipes da fêmea em azul verde e marrom cor-de-rosa um macho"
Greener(?) and two at orange four all the teams female(again, the animal gender) in blue green and brown pink one male. BernardinoCipr " masculino roxo na fêmea branca no roxo e uma equipe na mamã preta no filho preto no azul." Purple male at the white famale(!) 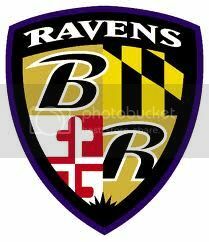 in the purple and one team at black mother in black son (!) at blue. BernardinoCipr "pesaroso para a gramática má"
But u never noe it can be a version of Sao Tome Portugese. If unlaced speaks native portuguese, I will consider that than the tweet. I don't know if this means anything but I found this post on facebook and it was in swedish, so i used google translator. Perhaps check to see when the new season begins airing on TV there?? And thank you VERY much for the help!! I find this twitter very suspicious for reasons I am not going to spell out online. So y'all keep recording the twitters here just in case, but please discuss this in speculation, okay? We all need to be specially alert. Twitters are a new phenomena, and I am sure that TPTB are interested in minimizing the impact of the real ones. But REAL ones there are, so keep them coming. Let's just try to take the chatter about them to speculation, do not do it here, this is to record the tweets. I want this thread lean and mean! hi (: i'm from singapore but currently staying in sweden. i'm new here and i saw this, and just wanted to say that a new season of amaing race aired tonigt on the free to air channel so i doubt it's the filming going on. Thank you mawy!! That is very helpful and we appreciate it! Hee...which season?? to RFF! Hope you will join in the fun! Found something interesting on facebook! (name removed) Not completely sure, but we think The Amazing Race was filmed right down the road from our house today in Accra. Though it could've been some other American show where they run around like in a race and have cameras following after them. PS I can recommend the 'princess cake' if you are ever passing by this far north. Boo largu día mañan, can't bebe na muchu. Unhende americanu televishon munstra ta merka anos í boats. Evidentemente The Amazing Race? Its in a little bit of Spanish as well, "día mañan" means day flows. Its actually in Galican, a language spoken in Spain and Portugal, anyways he states that an american tv show started with boats, and that it is evidently the Amazing Race. The first part has nothing to do with the race. I'm also a native portuguese speaker, and there's something that has not been said yet. That tweet mentions "an asian 2 from the east eliminated in the presidential palace", and that "9 teams were made in 8 teams". Thanks for posting...but the main problem is that there has not been enough time for there to have been another elim previously to take the teams to 9. But appreciate any insight into the tweets, and translation help is always welcome. Maybe sic meanx six? I'm Spanish, and it could be a major mispelling?